Kirkbride Airfield will be holding it's annual Fly-In and Open Day on Sunday 3rd September. We are very pleased to announce that we have been allocated a flypast by the Battle of Britain Memorial Flights Spitfire and Hurricane fighters that will take place on the day. We are also in negotiation with several other owners of "very interesting" aircraft and hope that (should the weather gods allow) this will be one of the best Fly-Ins in years. As usual all are welcome and if you should require any more information then please contact John Plaskett on 07710 672087. As more details become clear they will be posted on our "Friends of Kirkbride Airfield" Facebook page. Saturday 27th August 2016 saw Blackpool based pilot Mark Hanson beat the current world record for the number of take-offs and landings in an hour at Kirkbride. Using an Extra 300L he managed to complete 39 take offs and landings in an hour beating the current record of 36. The whole event was recorded and has now been sent off to Guiness to be officially confirmed. Kirkbride is now delighted to be able to offer Jet A-1 fuel. 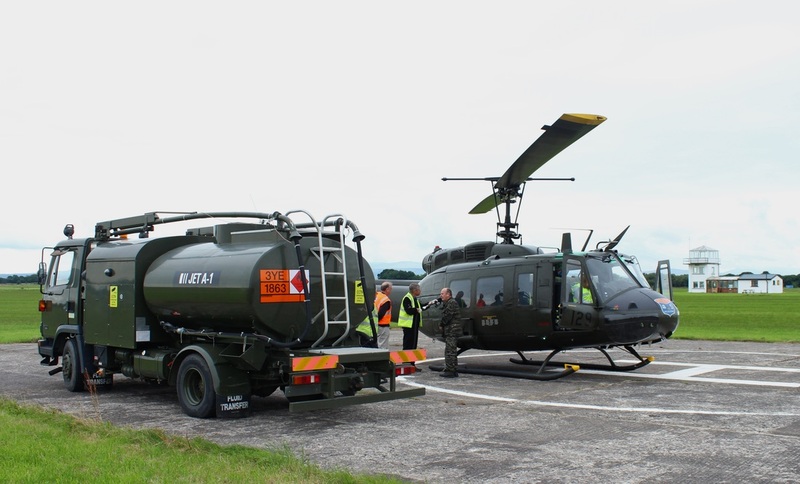 One of our initial customers was the wonderful Huey helicopter based down near Blackpool, it called in enroute to the East Fortune airshow held near Edinburgh. May 21st saw the "Kirkbride Flyers at home day". Sadly as is usually the case the weather gods conspired against us with a strong wind blowing across the airfield. However we were greated with a couple of visitors from near Prestwick including this colourful Pitts S1S Special.